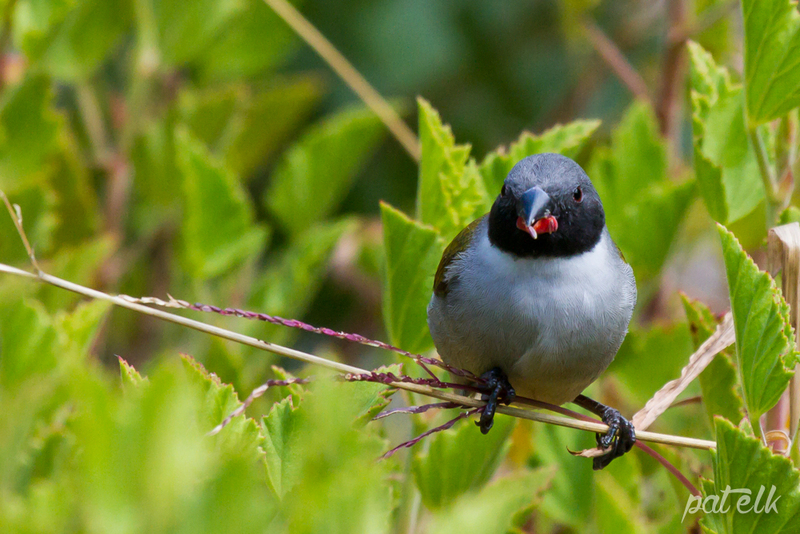 The Swee Waxbill (Afrikaans name, Suidelike Swie),is a tiny little bird with beautiful colouring and red eyes. 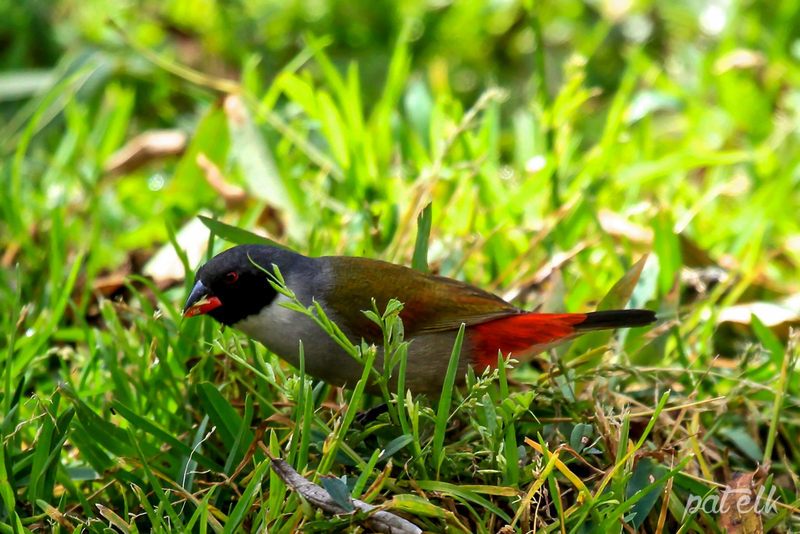 The Swee Waxbill is endemic to the Eastern coast of Southern Africa and is a common resident of grassy areas and gardens. The male has a black head whilst the female has a grey head. Their call is a soft pitched swie, swie, swieeeuuu. These were busy munching the grass seeds in the Kirstenbosch Botanical Gardens.